HTC a company which has been around for more than a decade, but only coming into its own as a consumer brand since 2006. It produces a variety of mobile devices from smartphones to tablets on Android and Windows systems. During the Mobile World Congress 2012, an event about all things mobile HTC recently introduced one of its newest products coming to the market called the HTC One X. It comes with a host of new updates and features that left those attending the mobile event in Barcelona salivating at the thought of getting their hands on it. This brand new phone runs on an Android operating system which can be seen on the majority of their phones. Android being an operating system from technology giants Google who have taken the mobile world by storm. 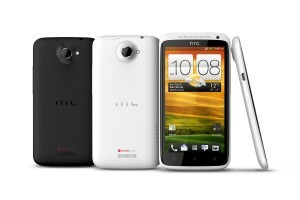 The HTC One X will be running on the new version of the Android operating system Ice Cream Sandwich. This new version comes with a host of new features that are part of the reason the attendees of the Mobile World Congress were so excited. One new feature is the ability to unlock your phone using the front facing camera in conjunction with facial recognition software to unlock your phone. This is an extremely innovative feature that could be fantastic for the industry and cut down on stolen phones being used. But this humble reviewer has to wonder what would happen if you had a horrible accident that disfigured your face or whether this facial recognition software will be keeping a log of the faces on an online database. Ignoring those nagging doubts though this does seem like a cool feature which would mean simply looking at your phones front it would unlock. The HTC One X comes with a camera built to impress. This is obviously highlighting how HTC has noticed that consumers are placing more importance on the camera quality than they have been before when choosing a new phone. The 8 megapixel camera of the HTC One X is a very impressive camera that comes with the usual features of LED flash and 1080p video capture as well as image stabilisation and facial detection. However what makes the camera of the HTC One X so unique is its ability to film video footage while simultaneously capturing still images. This is something that people will love when looking at the camera specifications on phones because people sometimes want to be both taking pictures and video at the same time but don’t have the capability. The processing power of the HTC One X is one of the most powerful smartphones in the world currently. The reason behind this is the quad core processor that has the impressive clock speed of 1.5 GHz. Now if you are like me and not really all about the technology you might be a bit confused as to what a “quad-core” processor actually is. The processor is basically what your phone is run by. The more powerful it is the faster it runs. There are currently 3 main types of processor; single, dual and quad. The single is the weakest allowing only a few things to be run at the same time and they slow each other down. The dual allows you to run multiple things at the same time much faster where as the quad makes it even better. All of this means that the HTC One X will be able to run numerous apps, have smoother touch screen response and a faster interface than other smartphones. It should be noted though that although the core is so powerful it does not mean that the apps will be made with the processor in mind. Hopefully though, the HTC One X will be able to handle anything thrown at it. So in conclusion the HTC One X is an amazing phone that has some fantastic features that anyone would love to have. It would be most suited to those who are looking for a fast processor and up to date operating system. Avid app users and gamers would probably find this a fantastic phone to have. People looking for HTC One X deals will have to wait for a short while before they can get their hands on it as it comes out in April. So not long to go now before you can get your hands on this amazing phone. To compare mobile phones and mobile phone deals including ones for the HTC One X visit mobilesplease.